Sliced cheese is one of those things that make things better. Just think how it makes a ham and cheese sandwich (at least) twice as good! 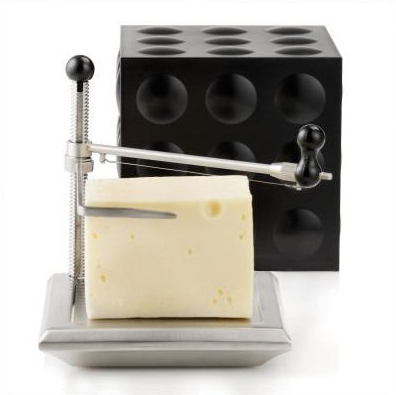 The Nuance Cheese Cube is a cheese slicer that looks good in use or not. The stainless-steel and ABS contraption features cool a design and an adjustable cutting height, so those ham and cheese sandwiches can not only taste good, but look good too.